What are Also-Boughts, and why do you need them for Amazon Ads? Customers who bought this (whatever you’re looking at) also bought that (and images apper on the product page). Among authors, we also refer to this jokingly as “also-bots”, since they are generated by an algorithm. You can easily check them by looking at your books on Amazon and see what else gets recommended. 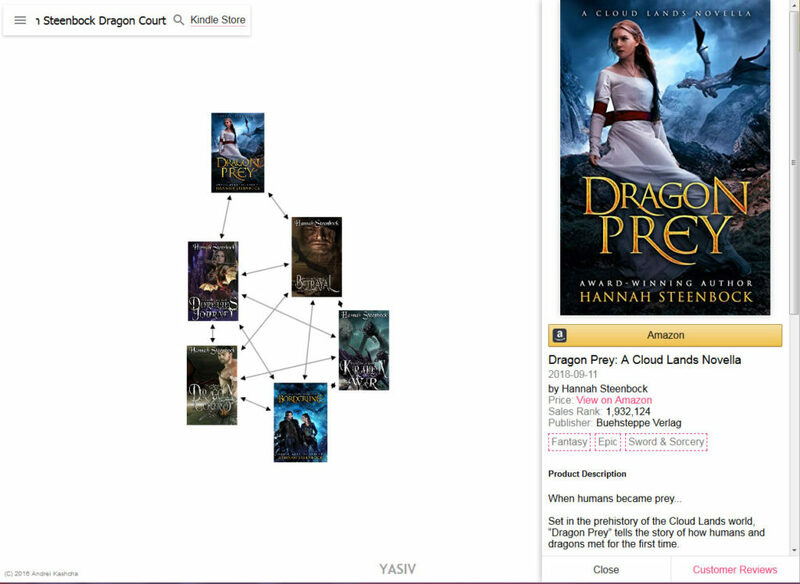 There’s also a nifty tool that actually visualizes your also-bots for you: Yasiv.com Be warned. They have a highly annoying no-robot captcha. But they give you nice visualizations. However, even as you can choose other stores in the menu, it only works well for Amazon COM, unfortunately. I have no idea how often they crawl Amazon in order to get their data. And if you’re looking for your books, chose “Kindle Store”, for better results. Now, that’s good and bad. The bad is that all books that “Dragon Prey” is connected to – are my own books set in the same universe. That means my books are not getting recommended anywhere else. Which means very little visibility. Booo. They are not connected to the wrong books, either. That can happen easily if you get all your friends to buy your books as a favor to drive up visibility and sales rank. But if your friends prefer to read military SF instead of the feel-good fantasy these are, Amazon’s recommendations will send the wrong readers to your series. They will be disappointed. They won’t buy, and if they do, they may leave bad reviews. Messing up also-bots is not a good thing. 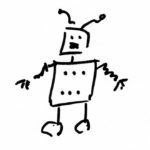 You want the also-bots speak to readers who are interested in your books. So how do you improve your also-bots? By selling more books to the right people. It’s that simple and that hard. And it’s exactly the reason why I’m working to set up my first Amazon ads. And that’s where also-bots come in hand. Not mine – as you can see – but yours might look different. If your books are connected to other books in the same genre, you’re hitting a gold mine for your ads. Because those author names make perfect keywords! But what do you do if you’re in my position? No also-bots? Easy. Check authors in your genre that write similar books. And then harvest their also-bots for keywords. And that’s what I’m off to do now. Have you looked at your also-bots? How do you feel about also-bots? This entry was posted in writing craft and tagged also-bots, Amazon Ads, marketing, mindset. Bookmark the permalink.